Antioch, IL - April 17, 2014 - The George H. Morris "Gladstone Program" scheduled for June 23-29, 2014, organized by Diane Carney, will be held at Annali-Brookwood Farm in Antioch, Illinois. Annali Farm, owned by Rush and Caroline Weeden, is the home of the prestigious Chicago Hunter Derby. "It's a privilege to hold the George H Morris Gladstone Training Session at Annali-Brookwood Farm," said organizer Diane Carney. "Rush and Carl's farm is the premiere Chicago facility successfully holding other national events." 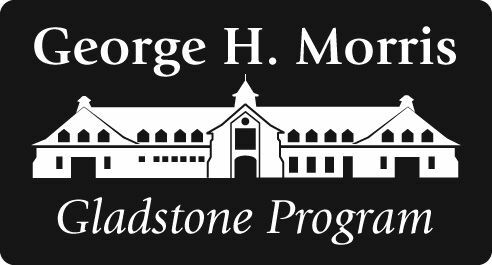 The George H. Morris "Gladstone Program" is an intensive week of training and education for exceptionally dedicated and talented show jumping riders who are serious about their interest and desire to pursue a path that will prepare them for international competition. The George H. Morris "Gladstone Program" for this country's talented show jumping riders, continues to grow. Applications for both events are due to the USET Foundation on Friday, April 18th. Don't miss this unique opportunity to learn from the country's former Show Jumping Chef d'Equipe and the founding father of hunt seat equitation. The program is open to riders 18+ years of age, who are currently competing successfully at 1.45 meters or above. Morris will personally select a maximum of 10 riders for each clinic (Gladstone, NJ and Antioch, IL). Riders interested in participating should complete an application and submit to the USET Foundation, P.O. Box 355, Gladstone, NJ 07935, or fax: 908-234-0670 no later than April 18th. Selected riders will be notified on, or about April 21st. Applications are available on the USET Foundation and USEF websites, www.uset.org and www.usef.org. For sponsorship opportunities, contact Diane Carney 847-922-6167 or dtelluride@aol.com.